I created this mom cut file with myself in mind. 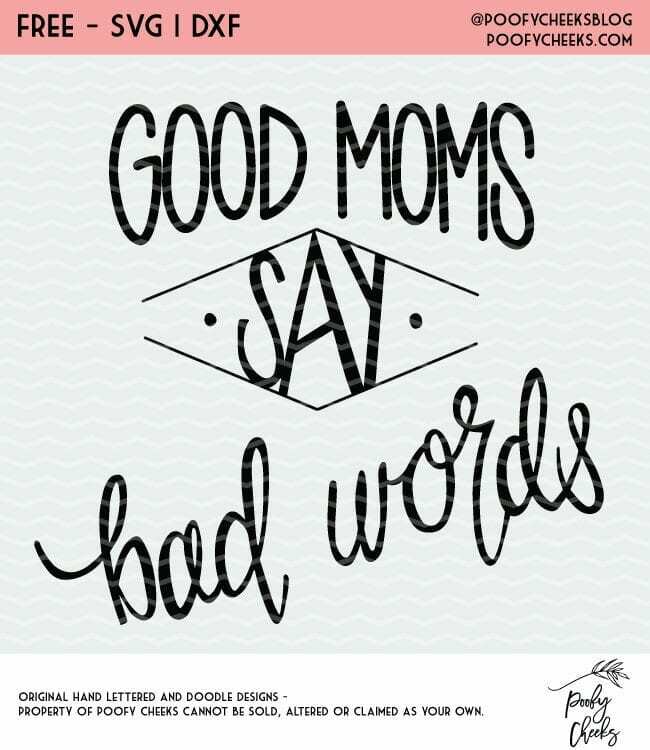 I will admit I’m a swear word type of mom. I don’t have a favorite word I just use them all in context when I deem necessary. I’m not a judgmental mom either. All moms should do what works for them and their littles. 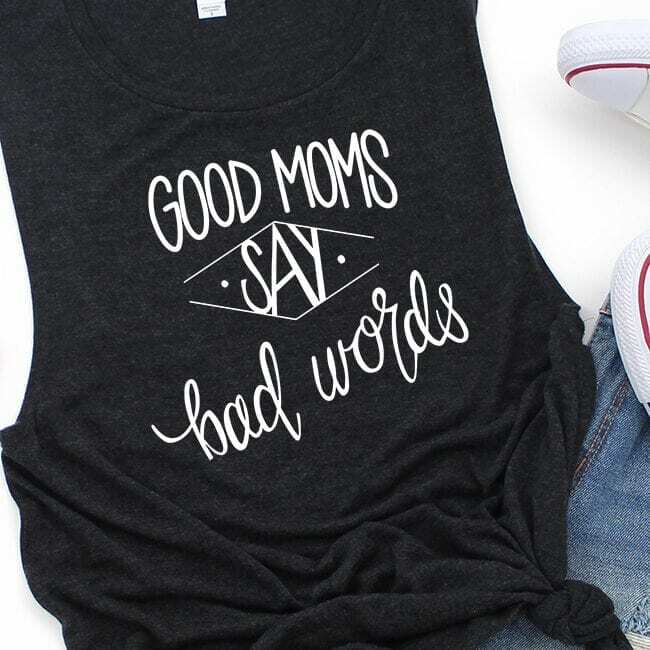 Here is a quick process video on how I use HTV to make shirts like the Good Moms Say Bad Words tank top. If you are new to using a cutting machine check out the Learning Lab for tutorial blog posts and videos. Visit our free cut file library to download more of our free cut files. 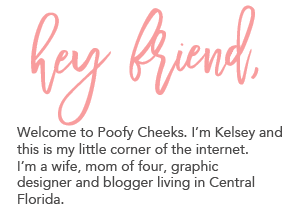 Tag us on Instagram with hashtag #poofycheeksblog so we can share! Sign up and get instant access to the Good Moms Cut File. Join over 10,000 others who get access to our free cut file library.